You knew this was coming: a full wedding recap! Since I couldn’t decide on which pictures to share, I decided to divide this up into a two-part series with photos, wedding planning advice and moment-sharing. My girlfriends and I have been making a conscious effort not to apologize (women apologize too much), so for those of you who don’t give a toot about weddings, I don’t apologize. This was the best day of my life and I couldn’t be more excited to share these pictures with everyone who has been following along in my Inspiralized journey! To those of you who aren’t interested, just ignore today’s post and I’ll see you Sunday, with a new recipe! 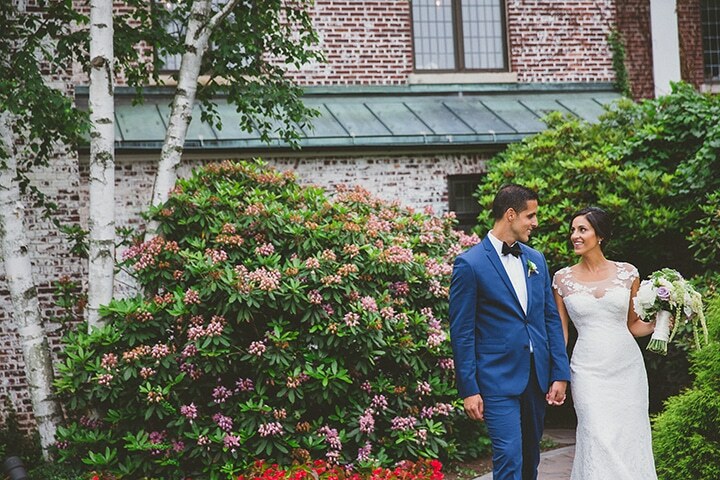 I’m so excited to share all of these photos (by our photographer, Nadya Furnari.) 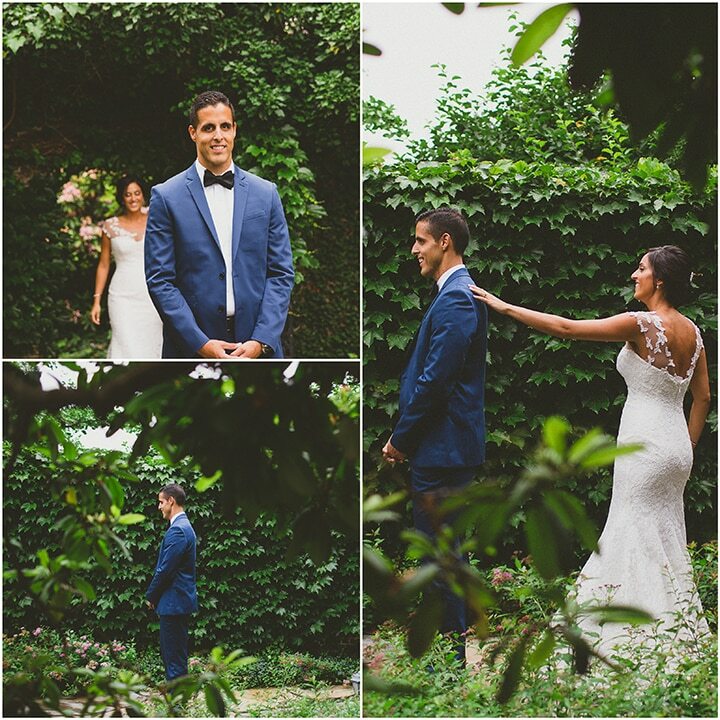 Nadya captured the day perfectly – our smiles, our laughs, our awkward faces, our private moments and our surprises. She’s even-keeled, sweet, kind, understanding, patient and professional. If you’re looking for a photographer, I recommend her! We got married at Hamilton Farm Golf in Gladstone, NJ which is two small towns over from the small town I grew up in in New Jersey. Funny enough, I swore on my life that I’d never get married at a golf course. I worked at Trump National Golf Club in Bedminster, NJ (which is right across the street from Hamilton Farm, ironically) and I was just burnt out from golfers, golf and golf courses. So why’d I pick Hamilton Farm? 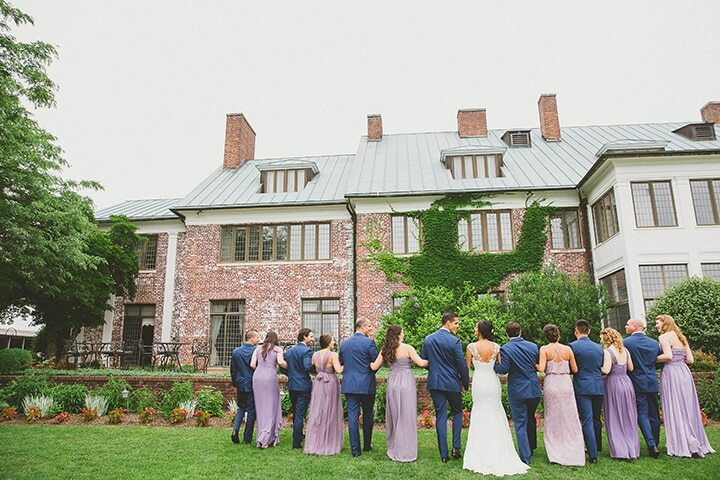 Well, it’s simply breathtakingly gorgeous – the grounds, the mile-plus long driveway entrance and most importantly, the mansion where all private events are held. The mansion is this gorgeous estate with charm and character. We knew the second we saw it that we wanted to get married there. As I was on the venue tour, this woman comes jogging up a hill and it’s Colette, my old coworker from my days at Trump National! She was the Director of Events & Catering at Trump and two weeks before our venue tour of Hamilton Farm, she started working there. The stars clearly aligned, so we picked Hamilton Farm. I knew we were in good hands with Colette and therefore, Hamilton Farm. She’s a star – she makes your dream wedding become a reality, truly. So, the night before the wedding, I pulled an audible (which, in football terms, means changing the gameplan at the last minute) and slept over my parents’ house instead of spending that night with Lu. Why? When I woke up, I was insanely excited to see Lu! 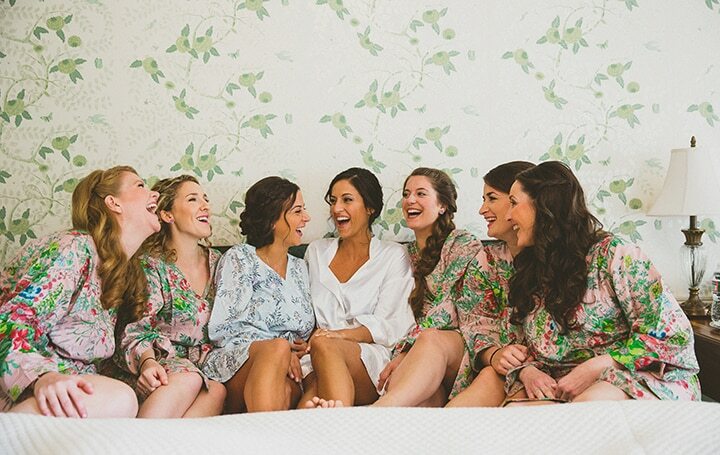 The anticipation built up that whole morning getting ready with my bridesmaids and mother. Then later, our first look was that much more poignant and special. Lots of kissing! Who knew that less than 12 hours could make you miss someone so much, eh? 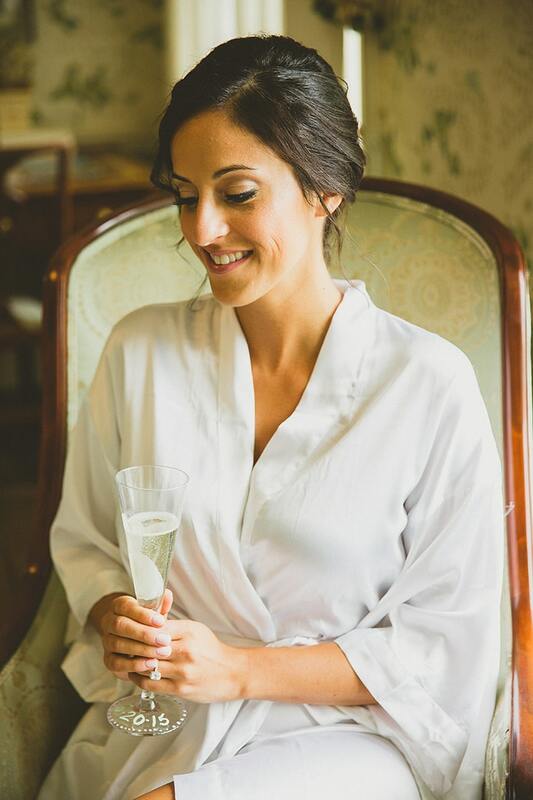 Getting ready was a blast and set the pace for an incredible day – we got ready in the mansion, while Lu got ready in a cottage on the Club’s property. 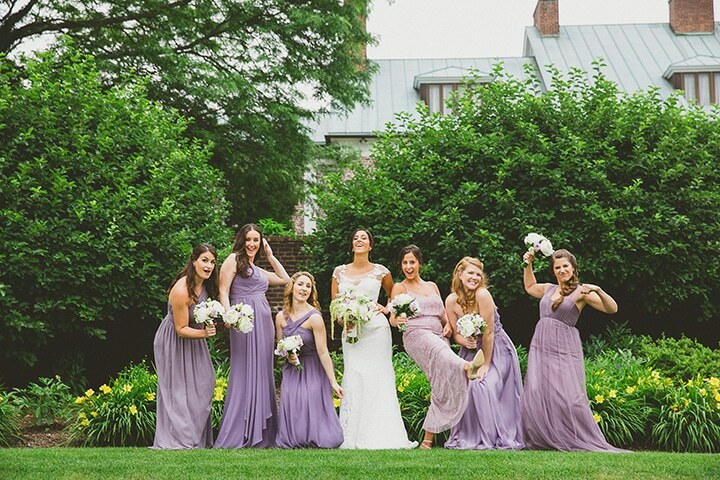 All of my bridesmaids chose their own dresses, I just told them a few simple guidelines – floor-length, shades of lavender, and no lace! As you’ll see in the bridal party photos later, it worked out fantastically – and I love that each of their personalities shined through. I wanted them to all be comfortable on our special day – and I think they were! It was absolutely the perfect day – all laughs, no drama, no tears (except happy ones, of course! ), no stress and just so much love. 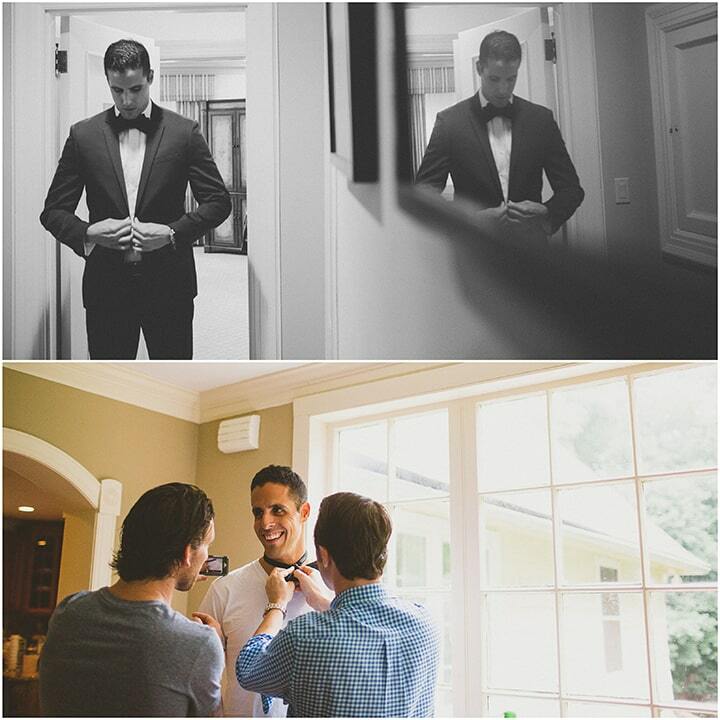 Well, some drama – Lu and his groomsmen couldn’t figure out how to tie his bowtie, so they had to YouTube it, haha! It definitely made for funny pictures. But once he was ready, he looked so handsome. Instead of writing a letter, I actually got this “What I Love About You” book and filled it out – there were 50 fill-in-the-blanks, like “My favorite thing you do in the morning is _______.” He loved it! After that, my father came in to see me for the first time. He had seen pictures of me in the dress, but he hadn’t seen it in person (he didn’t go to any of my fittings at Kleinfeld’s.) The second he opened the door, he started hysterically crying (the ugly cry.) It was such a precious moment and I’m so happy the photographers caught it! Once we were done getting ready, we were off for our “first look” and to take bridal party pictures. In retrospect, I’m absolutely thrilled that we chose to do a first look. Honestly, pictures are exhausting – they take forever, especially when all you want to do is hang out with your friends and family. I couldn’t imagine getting married and then having to take hours worth of photos! Plus, first look pictures are so honest and private – instead of having hundreds of people watching your first look, you only have a couple of people there – your photographer and your videographer. It was such a special moment. Lu stood in a garden and I came up behind him, tapped him on the shoulder and he got to see me in my dress! He loved it – we couldn’t stop kissing! Bridal hair piece from Nordstrom, here. Can’t wait to share more next week! Anything else you like to ask about my wedding process so far? Let me know and I’ll answer in the comments or include it in next week’s recap! Ali, these photos are so gorgeous! Everything from the dresses to the venue looks stunning. You obviously chose a good photographer too :) Thank you for sharing. That is so sweet, thank you so much for the kind note! Wow! I loved everything about this post. The bride and groom, the family, the bridesmaids, the groomsmen, the rings, the dress, the shoes! 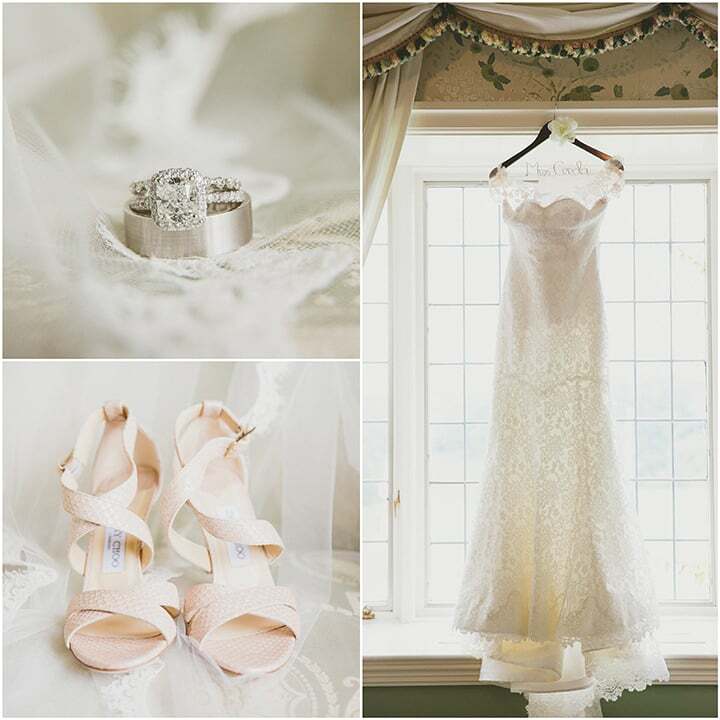 Absolutely amazing pictures that perfectly captured the look and feeling of your special day. Congratulations to you and Lu, and thanks for sharing your day with the beautiful words and pictures. Great post about first look :) . Your dad was the best one of my fave moments when he saw you it was so awesome i was getting watery eyes which obviously is a problem while shooting haha! Such a great day! Aw, thanks so much Nadya!! lovely pictures. You love beautiful and you guys look like you're full of love! Congratulations! This is a lovely post. Thank you for sharing. Wishing you both many years of happiness . What a special day. Thanks so much for sharing. It's nice to feel like we get to be part of your special day too. Photos of your dad made me cry, so sweet! OMG you were so beautiful and Lu handsome and is that Marc Forgione one of the groommen !! Thank you so much and yes, he's one of Lu's best friends - they went to college together! Beautiful is the only word I keep thinking in my head!! What a perfect day. Can't wait to see more pictures. :) Thanks for sharing with all of us. Absolutely stunning! Currently on the hunt for good navy suits for groomsmen. These look perfect! Mind me asking where you two found the suits? Absolutely stunning. 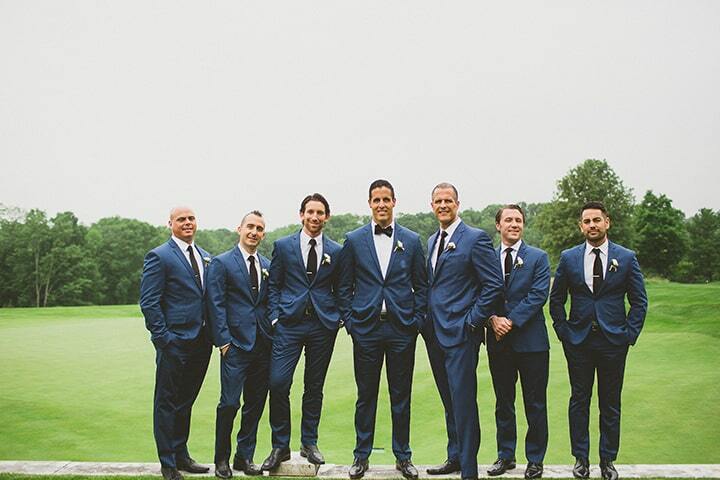 Currently on the hunt for navy suits for groomsmen... these are perfect. Mind me asking where you and Lu found these? Yes, they are from Express!! Thanks for sharing the pictures. 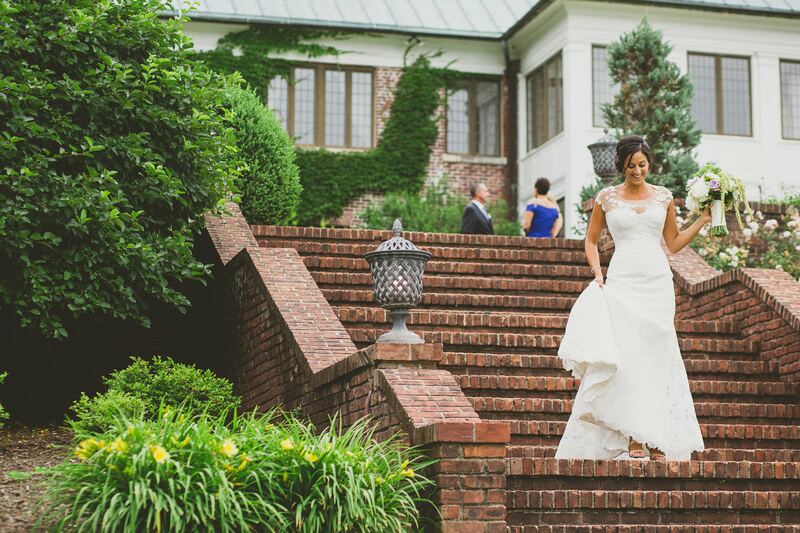 What a gorgeous venue and your dress is so beautiful. Congratulations once again! ♥♥♥ My eyes are misty! Love this post - thank you so much for sharing. It's made my day! Alli thank you for sharing all the beauty (you especially! ), love, and joy on your special day! I also got teary eyed about your dad! Absolutely STUNNING!!!!!! 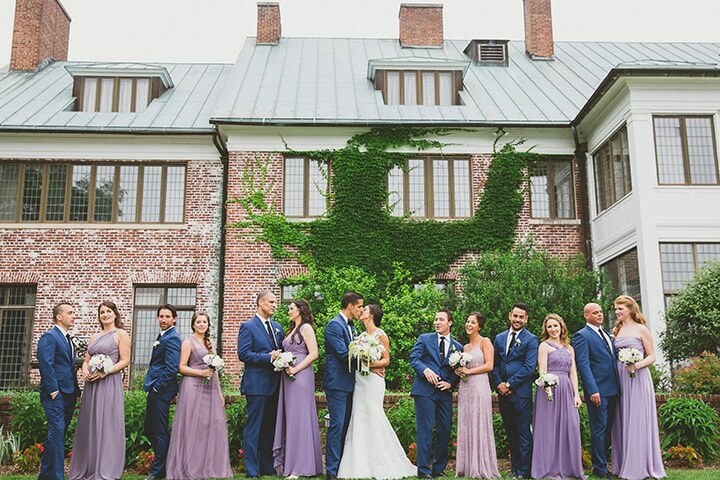 Your dress is amazing, I love the different bridesmaid dresses and the blue tuxes?!?! Love it all! Congrats to you and Lu and thanks for sharing, can't wait to see part 2! 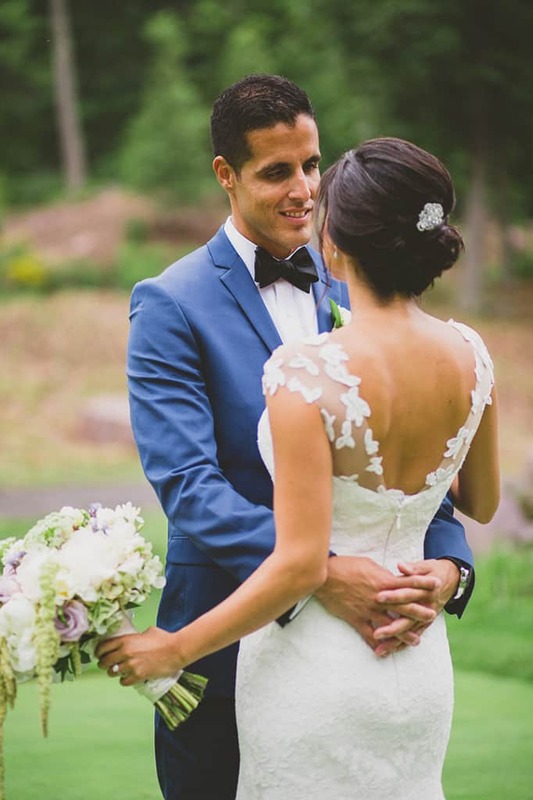 Ali, Thank you so much for sharing your special day! You looked beautiful and your venue and details looked amazing. There is something very special about your wedding that you will never forget. Never apologize for being overly excited about pictures or reminiscing as the years go by. We have been married for two years now, our date is June 29th, and we still love to look back, smile and relive some of the most special moments. And I hope we always do!! God bless and enjoy every special moment you can! Congratulations!!! You look stunning!! 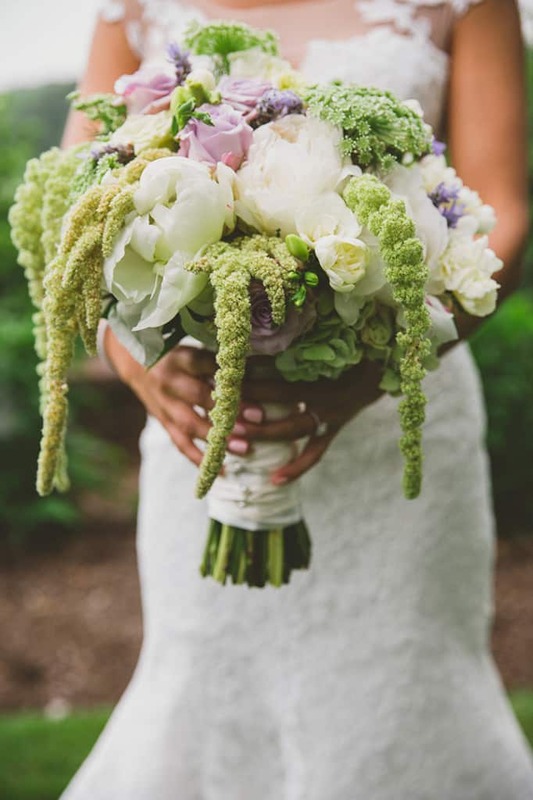 What an absolutely gorgeous wedding! I can't wait to see the rest of the photos!! This made ME tear up! I wish you all the best in life AND love, Tracy - thanks for your positivity and honesty. Glad to have you here! Ditto that! What a personal statement with love written all over it! As a bride-to-be myself, thank you SO much for sharing your photos, your memories, and especially your insight! 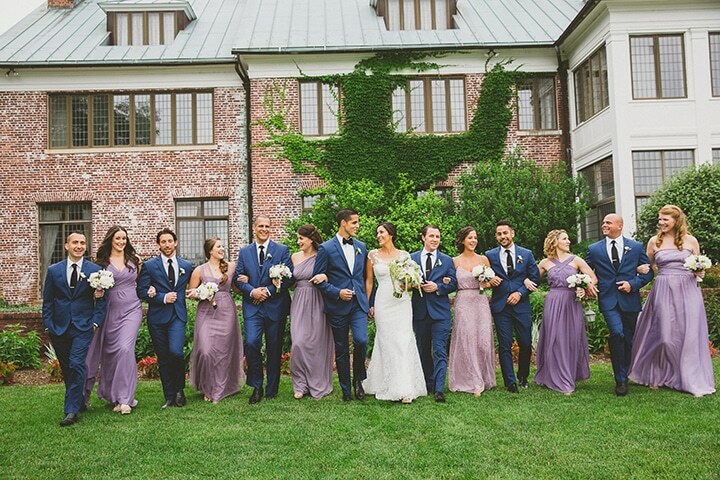 After seeing how beautiful your bridesmaids look in shades of lavender and different-styled dresses, I'm leaning toward doing the same with mine (only shades of dark blue, since I'm having a fall wedding :D) instead of having them all uniform. And I hadn't seriously considered doing a first look because it didn't seem as special to me as my groom seeing me for the first time during the ceremony—but you made it sound so special and romantic, I'm actually starting to think about it! Can't wait for part two—you're so good at all the cutesy little details (the things I'm too lazy to figure out), and I'm really enjoying reading your tips! Most of all, though, CONGRATULATIONS to you both!!! You are a stunning bride, and you two look so, so, so happy :). Ali thanks for sharing. Pictures are absolutely beautiful. I could almost feel the love coming through my tablet screen. May you both be forever blessed! Absolutely beautiful. I started crying half way through! Congratulations to you both and wished for a life of joy. Stunning! I didn't know you grew up near there, I did as well. 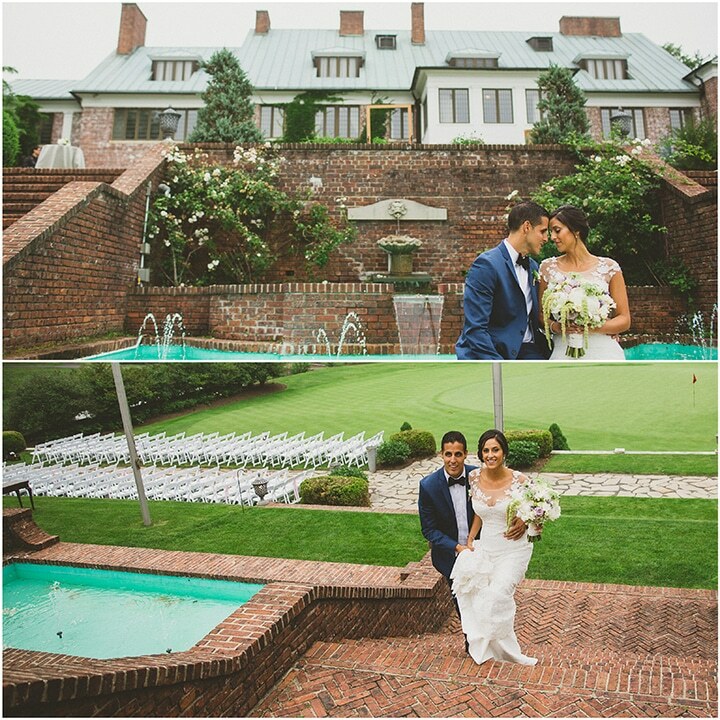 I have been to a couple weddings there and they are just beautiful. The scenery is breathtaking. Congratulations again, you looks so happy! Gorgeous !! Love seeing all the glimpses of your special day !! Wow, these made me tear up. You're a stranger on the internet (granted, one who gives me FABULOUS healthy recipes for impressing my own hubby) and I don't know you personally but the photos are so pretty and the emotion comes through so well. What a beautiful bride, loving partner, perfect day…thanks for sharing so much of yourself Ali, I don't think you'll ever be able to truly know how many lives you've touched just by being you. You make us all better! Ali, thanks for sharing. Everything appeared perfect, even Dad's tears. It's my daughters only comment about when this special time happens for her. She said she'd cry when she sees her Dad. I've been in touch with Nadya too, she said she'd fly west! Woohoo, all in due time. Enjoy this new life and all that it may bring...till then I continue to spiralize! Hugs to you. 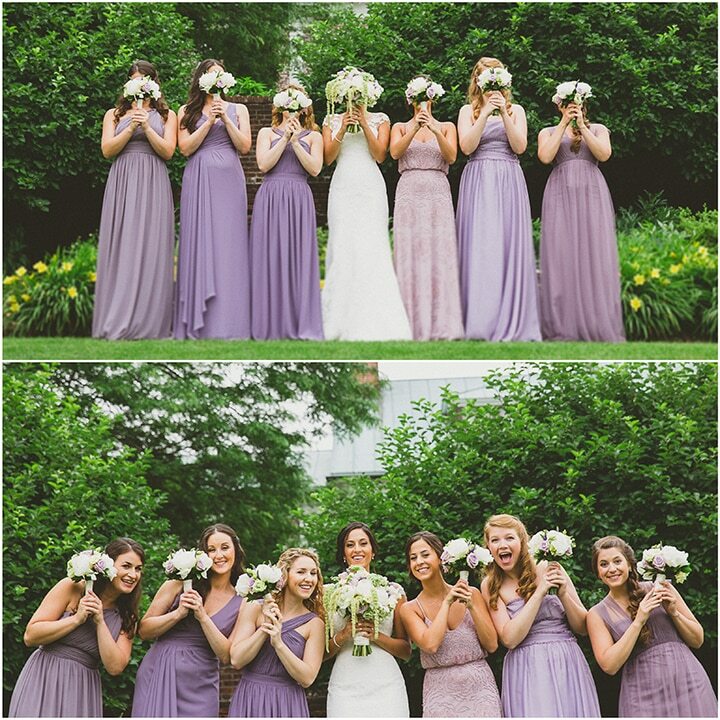 "All of my bridesmaids chose their own dresses, I just told them a few simple guidelines – floor-length, shades of lavender, and no lace! As you’ll see in the bridal party photos later, it worked out fantastically – and I love that each of their personalities shined through. 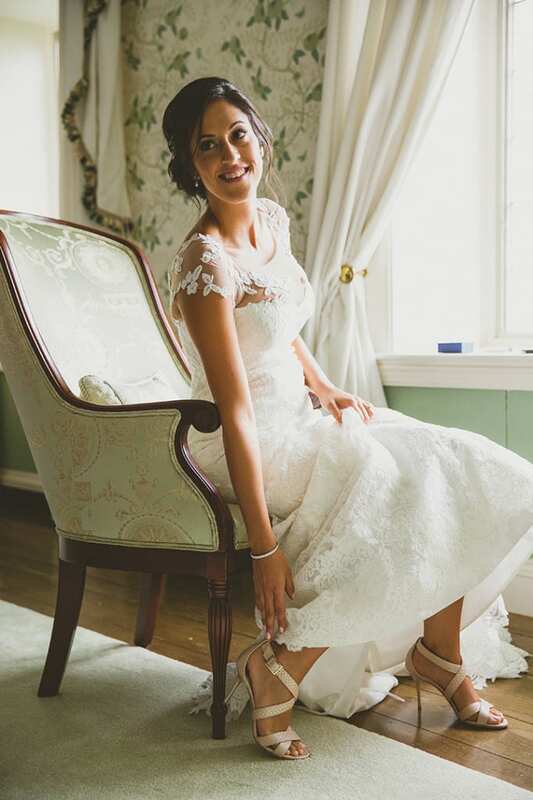 I wanted them to all be comfortable on our special day – and I think they were!" Ali, loved the idea that you provided only some reasonable guidelines and allowed your bridesmaids to choose their own dresses. They best know what their budgets are like, the dress style that looks best on them and what would make them comfortable. I'm sure they each appreciated the trust you placed in them. You and they hit a home run here - or should I say there were shots from the tee that all landed on the green. Gorgeous! And you look so fantastically happy!!! Thank you for sharing! Dear Ali, Thank you for sharing your wonderful life event. May all the beauty, joys, and heart happiness be always present in your hearts & life together. Double Cheers! What beautiful pictures of a beautiful bride. Congratulations to you both. Stunning! Everything looked perfect...including the weather? 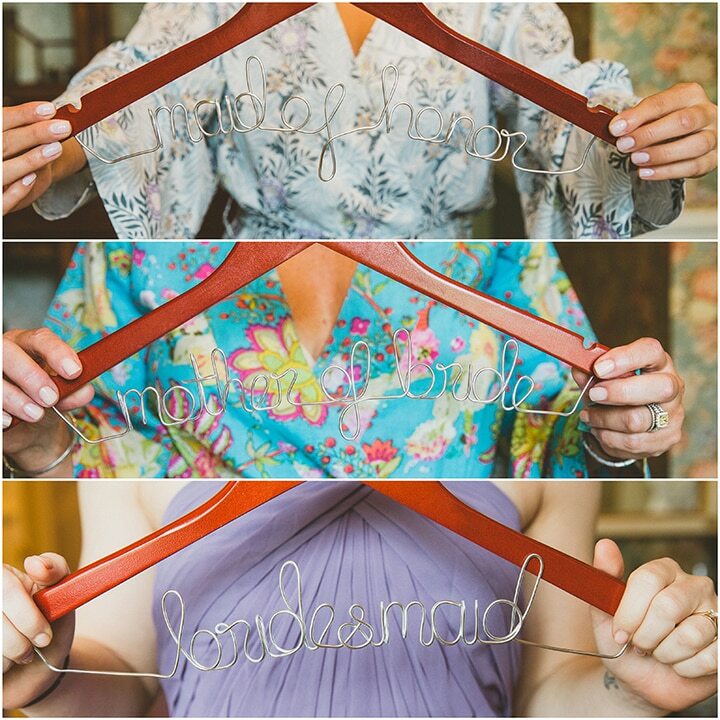 I loved the bridesmaid dress idea and the hangers. Congrats- lu is a lucky man. Ali- thank you for showing your wedding photos. I bought your book and the Inspiralizer and I get your emails and I look forward to seeing the creative recipes you have posted. Seeing your wedding photos is like looking through a window into your life and seeing the passionate, creative, loving person that is behind the cookbook and the machine. Thank you Ali for sharing them...you truly are an inspiration. All the photos look great but your dress is stunning! Oh my goodness...you and your dad!! That is so precious...I teared up a bit! You looked absolutely gorgeous. I feel like I know you just from following your blog (weird, right?! ), and I couldn't be happier for you. Your whole wedding looked stunning. Congratulations to you and Lu! I was just captivated by this lovely posting. I've been married to the same guy for 46 years and the memories of that moment are still with me, as they will be for you. Thank you for sharing your special day with all of us! Ali: I am soooo happy for you! All of the hard work, preparation and anticipation all came together perfectly for you and Lou on your special day. I wish you many, many years of love and devotion to each other. Can't wait to see part 2 of your wedding photos! It's been wonderful to share in the fullness of your life, Ali -- launching a bigger and better product (cookbook, Inspiralizer) while juggling the plans for your beautiful wedding. You beautifully demonstrate that the talent and skills we have, when coupled with concrete goals and plans, ARE the recipe for our success, personal and professional. I love your reminder that women apologize too much, and it is good to check ourselves and each other. Keep up the great work showing us how we can eat better, tastier, beautiful foods that make us healthier and stronger. Adelante Ali. Stunning pictures, dress, venue etc... Wishing you both much happiness for a long, healthy life together. Looking forward to more pictures, thank you for sharing with all of us. I'm so glad you DID share your lovely photos! I don't know you personally but sharing the pics was such a beautiful gift. It really made my day. Congratulations and may your life together be blessed with health, happiness and patience/forgiveness. Ali, Thanks for sharing- they are beautiful! Happy you kept the green tendrils in your flowers. I remember some debate over that. Love the texture! I notice the girl's dresses are different in stye, which I love. How was that decision made? Did you pick out a group of 6 styles and have them choose from those, or did they choose their favorite style of any of the styles available in the fabric you chose? I don't see any repeats! My daughter is beginning to look at wedding ideas!! Thanks! Thank you, Lisa! I simply told them a color (lavender) and said "no lace, must be floorlength" and they all nailed it! They sent me pictures of their chosen dresses for me to "approve" but it was easy - they all have fab taste! Not only did I love that you shared your beautiful photos and details of your day I LOVE LOVE LOVE that you've decided to stop apologizing for who you are or what you post!!! It's your blog and we love it! And whoever doesn't can move along... Be unapologetically you!!! 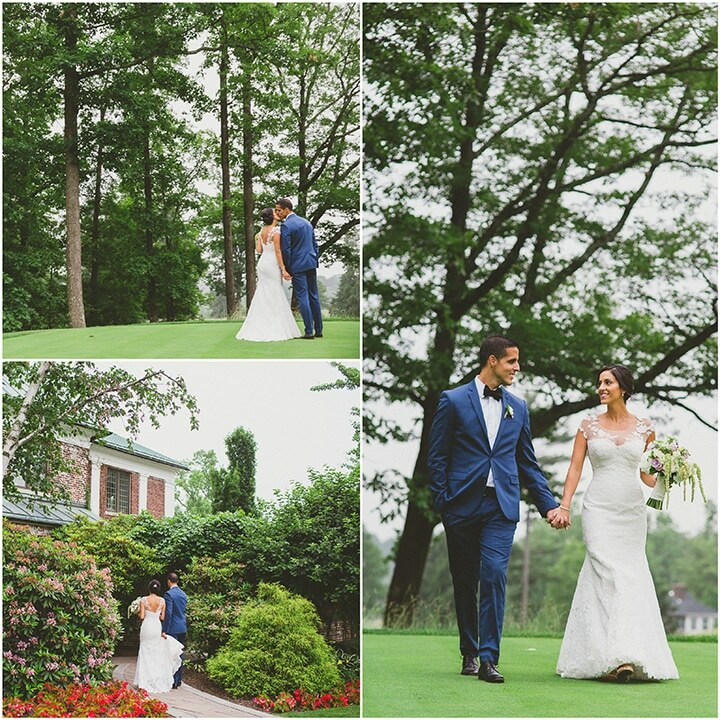 Ali-Thank you so much for sharing your wedding photos! 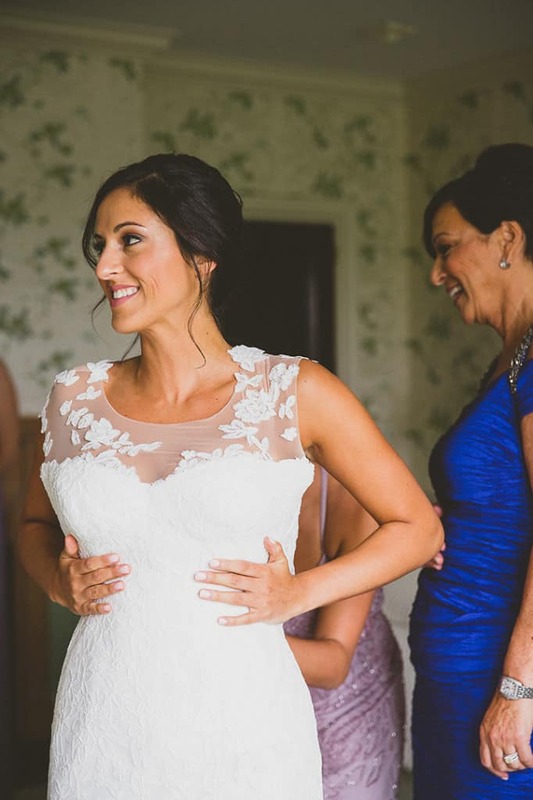 They are stunning and you made a gorgeous bride! Also, I love you commitment to stop apologizing. You've inspired me to learn to become less apologetic and live my life authentic to myself. A non-wedding related question--do you have a blog post sharing how you and Lu met? What a beautiful day. Thanks so much for sharing and writing about it. Well I'm not into weddings but I AM into supporting others' happiness and appreciate how you share and really give to your audience on your blog. I did enjoy the tender moments captured in your photos and found heart smiling for you! I really enjoy the personality in all that you write and you are genuine and unapologetic. And of course.....your recipes but that goes without saying. Congratulations! Such a beautiful day filled with so much love and joy. Thank you for sharing! Stunning! Thanks for sharing, I can't wait for the next installment! So beautiful. Appreciate each other every day, out loud. Even if it's the same thing as yesterday. Thank you for sharing such a personal event in your life. Absolutely gorgeous and inspirational. Congratulations! Of course, not, I'd be flattered - and congratulations!! I love all of the pictures and the story that goes with them. You are so beautiful, I knew the pictures would be incredible. Can't wait to see the rest. 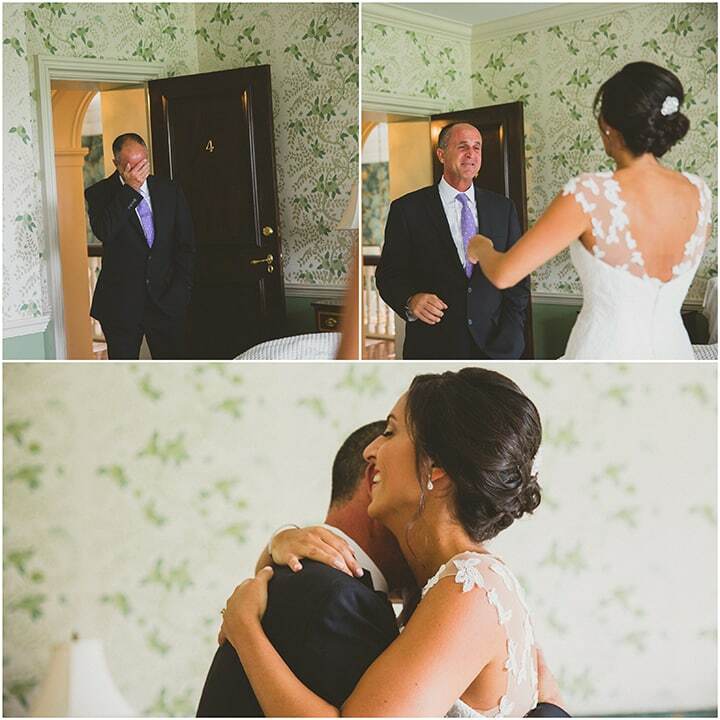 Amazing and beautiful pics, congrats again and love the dad moment! Wow! Thanks for sharing. It looks like everything was amazing. You all looked wonderful, and I seriously need to spiralize more because dang! Your figure in that dress!!! Wonderful. Thank you for sharing your photos, I love weddings! You looked beautiful! Such a lovely wedding. Ali, thank you so much for sharing these pictures! They are some of the most beautiful wedding pictures I've ever seen, and we haven't even seen the actual ceremony ones yet! Your wedding party looks great. What made you choose lavender? It was an inspired choice! Everybody looks good in it! Thank you! I've just always loved the color lavender! Ahh! I love this post so much! You looked INCREDIBLE, your flowers are gorgeous, and all the pictures are so sweet. I had tears in my eyes when I read the part about your dad breaking down when he saw you. Such a beautiful post. Can't wait to see more wedding stuff! What a beautiful bride you were! The photos are wonderful, and they actually got me a little choked up looking at them. I wish you and Lu many, many happy years together. THANK YOU SO MUCH for sharing this wonderful happy story and these unbelievable photos. Absolutely beautiful, makes me want to design my own! Love them all so much. I've been following you on Instagram, spiralizing my zucchini all summer, thank you. I click to learn about your strapless bra and next thing you know I'm reading about your wedding! Small world, I grew up near Hamilton Farm, just above Pottersville. My mom used to work for Beneficial, which used to own Hamilton Farm. Such a beautiful area. Love your blog so far! You have impeccable taste! I absolutely adore all of your choices! I have zero interest in weddings, but your style made it so fun for me to look at these photos. I wish I had discovered you in 2013. But better late than never. Ali I found you on YouTube yesterday and I am so refreshed and happy to know you. May you and Lu and your baby Luca have a very blessed and happy future. Thank you to your mother also. It is not at all surprising to see what a wonderful family you come from. Annette in London. UK.